Tow tractors are either powered by electric motors or internal combustion engines, with electric models most often used in warehouse and manufacturing environments, and combustion models more typically used in outdoor applications such as airport luggage and cargo handling. Ideal for indoor use, electric tow tractors are particularly suited for continuous flow distribution and manufacturing applications such as those found in factories and production lines. Walkie – the operator walks alongside or in front of the tractor as it moves. Walkie Rider – faster and more powerful than a walkie and with a platform for the operator to stand on. Sit-Down Rider – larger and more powerful than a Walkie or Walkie Rider, with a seat for the operator while driving. Lencrow has a range of electric tow tractors for sale, including the Xilin QDD series with a 2,000kg – 10,000kg capacity, so talk to one of our expert consultants about how we can help with your particular materials handling requirements. Low on noise and carbon emissions. From a pallet jack to a diesel powered forklift, Lencrow has one of the biggest and best selections of new, used and hire equipment in the country. We have a solution to every materials handling problem and we stand by what we sell with our acclaimed after sales customer service and support. Our branch workshops are equipped with all the latest technology and our technicians are trained to provide a full range of mechanical services and technical support. Our computer-aided Planned Preventative Maintenance System (PPMS) means we can tailor a service schedule that will minimise the lifetime running costs of your equipment, based on factors such as how old it is, what it does and how it is used. 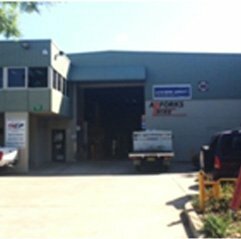 And for those times when you can’t afford any downtime, we offer round the clock emergency forklift repairs, with an average 2 hour response time in metro areas and approximately 4 hours in regional areas. 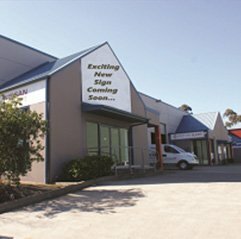 Lencrow is an Australian family business with more than 40 years industry experience and our sole aim has always been to provide Australian industry with a one-stop materials handling solution. And with five nationwide branches and more than 60 trained staff, we reckon we have what it takes to continue providing that service. If you’d like to learn more about our tow tractors or any of our materials handling products, have a browse through our online range or give us a call on 1300 536 276. You can also get in touch with us at any time by filling out the online enquiry form or dropping into one of our five locations in Adelaide, Newcastle, Brisbane, Melbourne and Sydney.